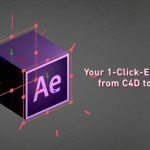 Taron Poghosyan’s NataWorkStudio just released a new version for Advanced Mask Editor, an After Effects tool that allows for expanded mask editing. AME (advanced mask editor) gives a panel that displays all the masks sets of a selected layer. It’s a much more up-front system for viewing the mask of a selected layer, rather than twirling down attributes in the composition window. All of the most commonly used maps functions are all available through that one AME panel. Advanced Mask Editor also does things that normal masking tools in Ae can’t. You can merge mask paths together, mirror them, replicate them, and easily open and close paths. 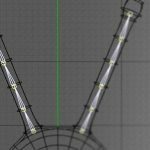 A recent update to Advanced Mask Editor, adds the ability to work with animated masks in After Effects. This is huge. This means you can animate a mask path, and then replicate it or reflect it, and have the animation work through to the affected results. You can merge two animated masks into one, and then copy, flip, or even mirror your animated element. So great. The latest version also comes with 50 animated presets from flames, animals, and splash effects.